Indian Khana, Made Easy: Mango Rice Pudding, Finger Lickin' Good! Ripe ones, green ones, fat ones, and juicy yellow ones. I'm talking about mangoes, of course. Summer isn't the same without mangoes. In India, everyone looks forward to the season because of the mangoes. I still remember the days when my sister and I used to sit on the back porch of my grandparents' house eating juicy yellow mangoes. By the time we were finished, our mouths were covered in juice and my mom would chase us around the house trying to clean us up. Sigh! Those were the days. Now we enjoy mangoes from Ecuador, Mexico, Florida, and if we are lucky, India. There's just no comparison to the variety of mangoes grown in India. Furthermore, there's more than one way to enjoy a juicy mango...such as mango rice pudding. 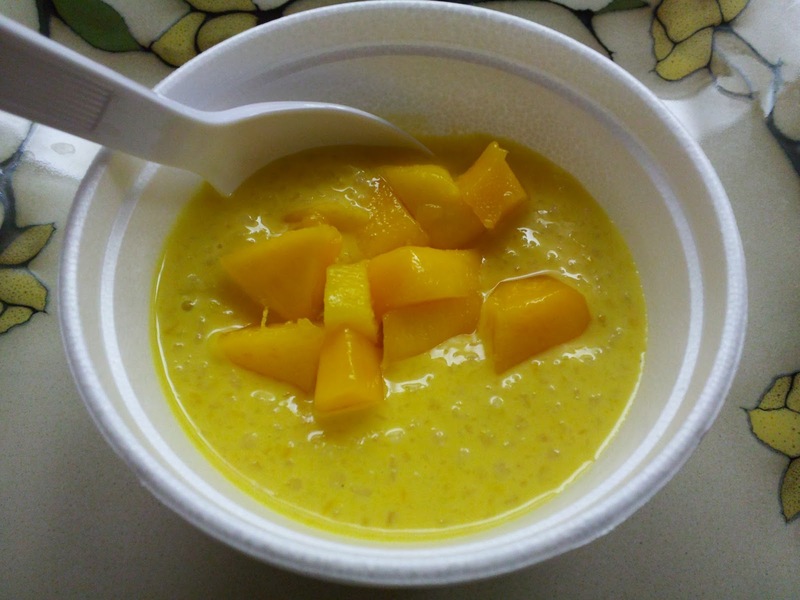 Ever since my sister ate this mango rice pudding at a Thai restaurant, she's been dying to re-create it at home. Of course, during her last visit, we did just that. It's not that hard to make and it's so yummy! I mean finger lickin' yummy! Transfer the cooked rice into a blender, add milk and pulse a few times until the rice is somewhat granular. 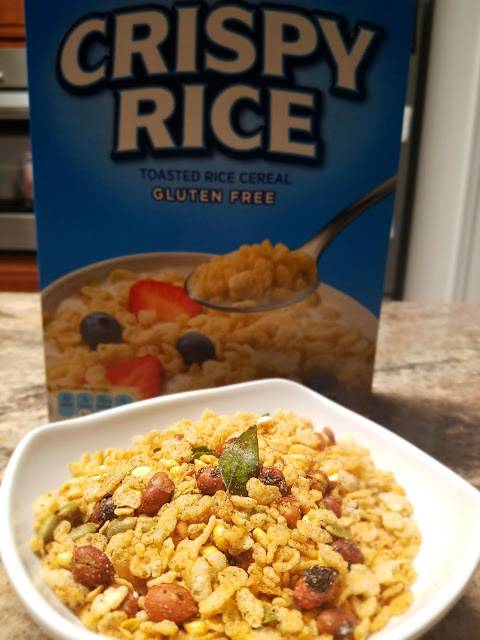 Pour the rice mixture into a non-stick saucepan and add quarter cup of water, cardamom powder, and evaporated milk. Cook on low heat, stirring frequently for 5 to 7 minutes or until the mixture thickens. Now add sugar and continue to cook for 2 to 3 minutes and turn off the heat. Allow the mixture to cool for 5 to 10 minutes and then pour the mango pulp and mix well. Transfer the mixture into a suitable container and chill in the refrigerator. Serve the rice pudding topped with the mango pieces. Here's to another great season of mangoes in the States!! - Add a pinch of sugar to the cardamom seeds to make grinding easier. - Also check out our other pudding/kheer recipes: Vermicelli and Tapioca Kheer & Rice pudding with Coconut.